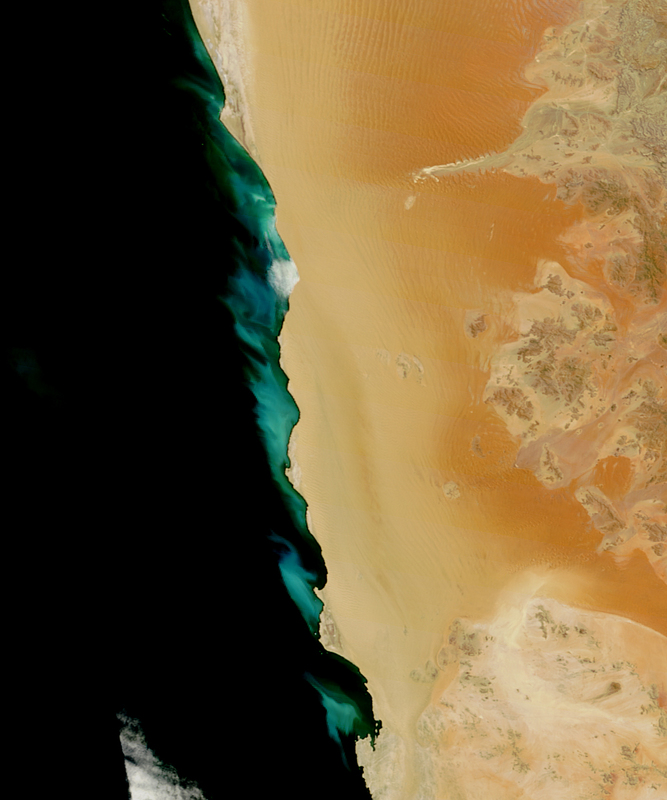 The Moderate Resolution Imaging Spectroradiometer (MODIS) on NASA’s Aqua satellite captured these natural-color images of the waters off Namibia on February 13 and 15, 2015. Naturally occurring plumes of hydrogen sulfide were rising from the ocean floor and discoloring the sea surface. 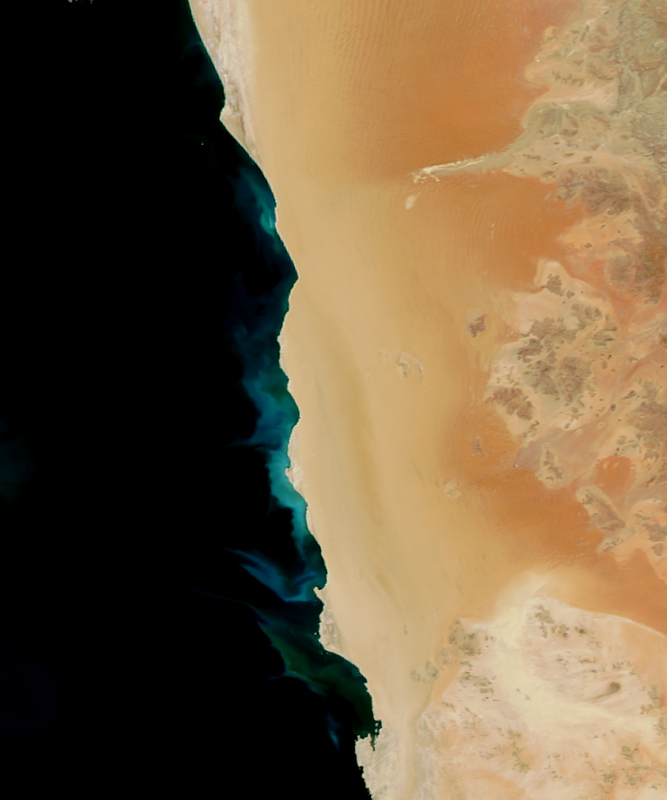 Along the coast of Namibia, easterly winds push surface waters offshore and promote upwelling near the coast. 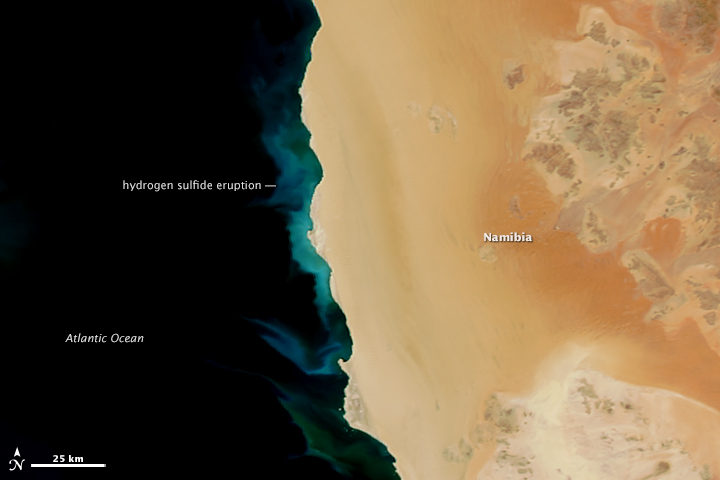 Studies have described how bacteria in oxygen-depleted bottom waters off Namibia consume organic matter and produce prodigious amounts of hydrogen sulfide. As the gas bubbles up into more oxygen-rich water, the sulfur precipitates out and floats near the surface. Bruchert, V., Currie, B., Peard, K.R. 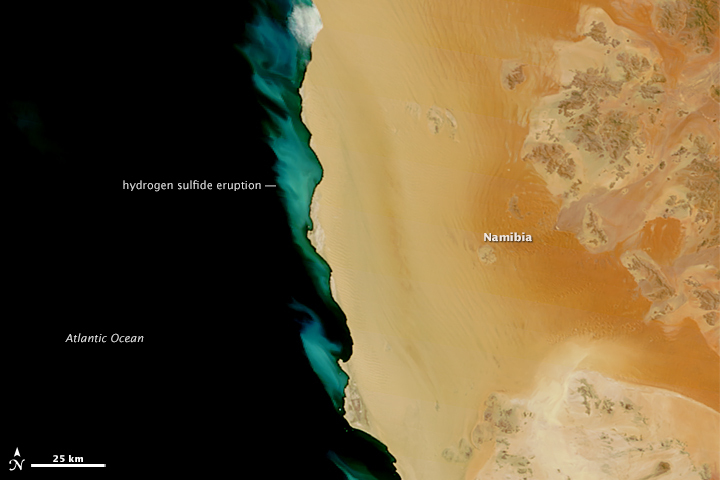 (2009) Hydrogen sulphide and methane emissions on the central Namibian shelf. Progress in Oceanography 83, 169–179. 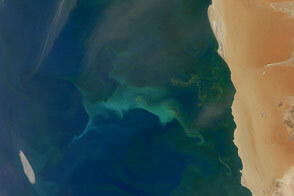 NASA Earth Observatory (2014, April 30) Plankton and Sulfur in the Benguela Current. NASA image by Jeff Schmaltz, LANCE/EOSDIS Rapid Response. Caption by Mike Carlowicz. Bacteria near the seafloor consume organic matter and produce prodigious amounts of gas that rises to the surface.